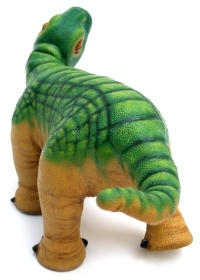 Ugobe has announced that Pleo will retail for $349 USD. Considering that many models of the talented Sony AIBO retailed for well in excess of $1000 USD, and that the Pleo is a lot cuter, that is an amazing price for the first cuddly artificial life form in history. Start saving now and check our Pleo page that tells you where you can buy Pleo for updates on the latest pricing, ordering and availability. (Note: The most recent price quoted for the United Kingdom and Ireland is 250 pounds, not dollars). You can read our Pleo blog for more information and if you just can�t wait to be updated when more is known, subscribe to the blog using the friendly form on the right.